If you are facing a first offense DUI, any traffic charge, or other criminal misdemeanor charge in Blue Ash, Ohio, your case may be filed in the Blue Ash Mayor’s Court. Whether your case is filed in Blue Ash or in downtown Cincinnati at the Hamilton County Municipal Court will depend on the charge, the arresting police department and where you were arrested. 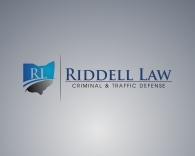 Our attorneys defend clients facing DUI, criminal and traffic charges in municipal and mayor’s courts throughout Cincinnati, including in the Blue Ash Mayor’s Court. WHAT IS A MAYOR’S COURT IN OHIO? Ohio Mayor’s Courts are unique courts in Ohio that handing only certain criminal misdemeanor and traffic cases. Ohio and Louisiana are the only two states in the USA that have these unique municipal courts. WHAT IS THE DIFFERENCE BETWEEN THE BLUE ASH MAYOR’S COURT AND A MUNICIPAL COURT? Under Ohio law, municipal courts, like the Hamilton County Municipal Court, are courts of record. This means that a municipal court has the authority to conduct jury trials and that its decisions are final (subject to appeal to the Court of Appeals). Unlike a municipal court, the Blue Ash Mayor’s Court is not a “court of record,” which means that it does not have the authority to hold a jury trials. If you would like a trial in Blue Ash, it can only be heard to the magistrate. Keep in mind that if you were charged with a serious misdemeanor (such as a DUI or other jailable offense), you do have the right to a jury trial even if your case was filed in the Blue Ash Mayor’s Court. To accommodate your right to have a jury of your peers hear your case, you always have the right to transfer your case to the Hamilton County Municipal Court. However, there are some advantages to having your case heard in the Blue Ash Mayor’s Court. It is a much smaller court, for example, then Hamilton County. There may be other tactical advantages as well, depending on the facts of your case. WHAT TYPES OF CASES DO YOUR ATTORNEYS HANDLE IN THE BLUE ASH MAYOR’S COURT? To schedule your free initial consultation, call our attorneys now at (513) 655-7240. Because we know traffic and criminal charges rarely happen during 9:00-5:00 working hours, our Cincinnati attorneys are on call after hours, on evenings, weekends, and holidays to discuss your questions.